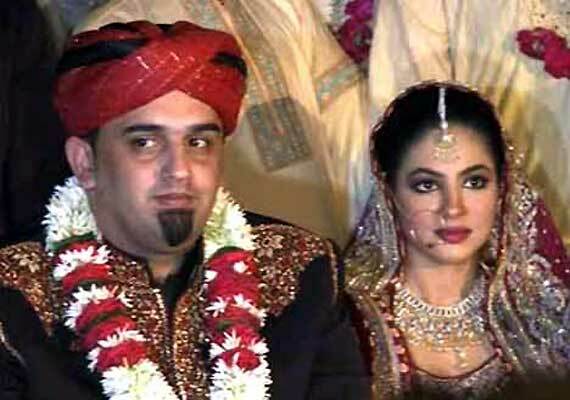 Lahore police raided the wedding ceremony of Pakistani pop singer Annie Khalid of 'Mahiya' fame, after lights at the party were not turned off after 10 pm. Scuffles broke out between police and the relatives of groom, Malik Naveed Awan, and police arrested two members of the marriage hall. Annie married Awan, a Dubai-based Pakistani businessman, in mid-July this year and the party traditionally called ‘Rukhsati’. Annie was so shocked that she had to spent the wedding night in a hospital. The wedding party revelries has crossed the midnight deadline set by the Punjab government for such events at marriage halls. Police barged into the wedding venue to arrest the groom, Malik Nouraiz Awan, for violating the law. As the police tried to arrest the groom, friends and the family tried to save him from spending his first wedding night in a lockup. As a result the wedding hall turned into a fighting ground. Guests stood like a wall between the aggressive policemen and the groom.